Some news on the Ricoh Theta: the Theta apps for iOS have been updated to add support for 4K timelapse videos. 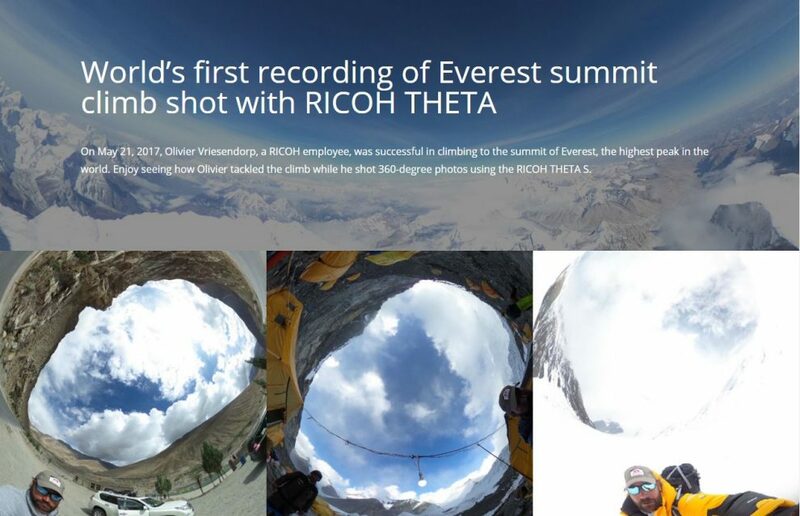 Ricoh also posted some spectacular 360 photos from Everest. Ricoh updated the Theta+ and Theta+ Video apps for iOS to allow 4K time lapses on iPhone 6S and above. No word on an Android update. There was some speculation on whether this could be a sign of the impending release of the 4K Theta. I personally don’t think so… but I could be wrong. Meanwhile, Ricoh shared these 360 photos from Everest by a Ricoh employee Olivier Vriesendorp.